Hi Jim, Jason here. I have been in the marine industry for 25+ years have been a certified marine technician since 2006 and I will be happy to help you. I am sorry to hear you are having these problems with your Mercury 50. I know that can be frustrating. Hopefully, we can get you back on the water quickly. Your question was - Would you happen to have the stator out put specs? I would be happy to help you with that. I'm sure I have the specs someplace as I have all the books. 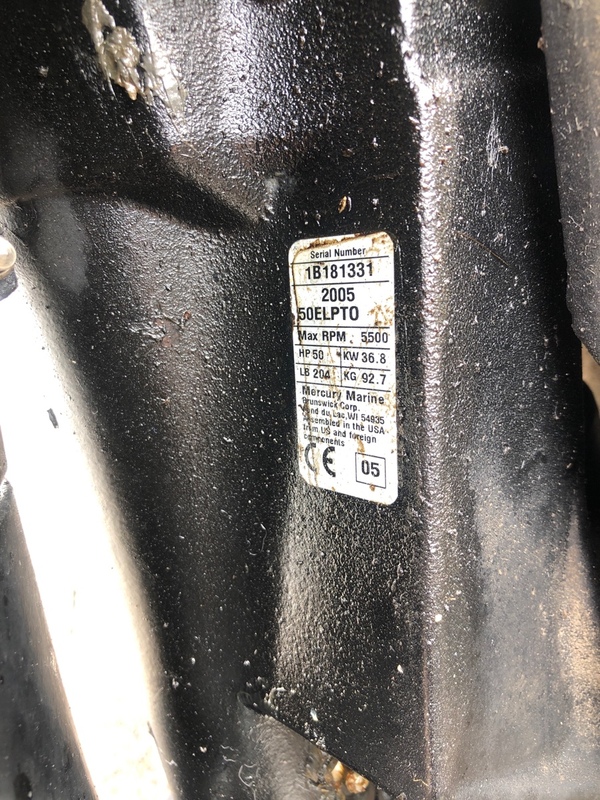 But I would need the serial number of the engine to look it up, or at least know if this is a 2 or 4 stroke engine. Do you have that serial number handy? Also, how did you make out with the trim issue from the other day, I never heard back from you on that one after I sent my last response there. Okay got it. Thank you for that. To answer your question. The stator output should read 200 to 350VDC as read through the DVA. You would measure between the green/white and white/green wires. These engine did come with rev limiters on them, and those were know to cause problems. If the engine drops spark on any cylinder disconnect the rev limiter first and see what happens. If spark comes back then it's just the limiter. Click this link for a diagram, the limiter is #5 - https://www.mercruiserparts.com/bam/subassembly/28075/11493/30 You will also want to check all CDM's. If the engine is breaking down when hot, you might have to check the CDM's, and the stator, twice . Do it once when cold, and then again when hot, and see if the values change much between cold and hot. I am attaching a file for you on testing those CDM's, see attachment on that. I am attaching the diagram now. There isn't any kind of test for it other than disconnecting it. If you find that you have no spark or erratic spark on any or all cylinders you simply unplug the rev limiter and see if spark returns or not. If it does, it's a bad limiter. If it doesn't, then it's not the limiter. Ok I was thinking. After looking at the engine it self and the diagrams you sent over. Cyl 1 always hits good. 2 week and 3 almost nothing. The stator has 2 lease one green white/ and one white green. When I follow the wiring whit green connects directly to cyl1. The green white split off to cylinders 2&3. So this would tell me that we may have an issue with the stator? What are your thoughts? Okay so I tested stator output from white green for cyl 1 and got 14.3v tested output on green white for cyl 2&3 and got 11.6v I understand no matter what cyl 1 being disconnect will shut the motor down every time creating the path back to itself. Out of cyl 1 harness ground and white green I got 18.1 cranking on cyl 2&3 ground to green white is 14. I tested harness up to stator output and perfect continuity throughout. Bad stator? Are you testing things the right way here? Is the engine cranking over when you take the voltage tests? Do you have the DVA inserted into the meter, and the meter set to DC volts? 1995 40 hp merc on tracker tx17 only @3000rpm, wont plane. My 1998 Mercury 50HP 4 stroke is stuttering when opened up.